Have you ever met anyone who is a health fanatic? Maybe they rarely touch dessert or fried chicken, or they go to the gym every day. Maybe their favorite lunch includes a whole grain bread sandwich with sprouts and a wheatgrass juice chaser? Possibly they don’t engage in unhealthy behaviors like, smoking or excessive drinking? There are people who live by a strict code of health that of course includes regular exercise and a healthy diet. These people never miss a checkup, they stay up to date with all the latest medical news and take great care to follow their doctor’s orders. What sets these people apart? Taking care of themselves is their highest priority. These people take their health seriously, it is engrained in them and a huge part of who they are. They live by the code of self care, and are rarely tempted by the indulgences some of us take part in every day. Good health really does come down to self-care that is at the core of all health conscious people, it is what drives and motivates their behavior. They care about their health, their wellbeing and living healthy lives. Many have had this attitude their whole lives, and for some it all began in childhood with parents who role modeled positive health habits. But, in reality, anyone can adopt this attitude, even if it is not something you learned while growing up. Good self-care can be learned and adopted at any age, and a good place to start is by learning about the 10 habits of these healthy folks who make self-care a priority. Healthy people get exercise on a regular basis. They rarely wonder if they should go to the gym or not, they just go. They workout with gusto, some because they love it, and for some it is simply necessary for good health, a great body, disease prevention and overall wellbeing. Healthy people understand moderation. They don’t eat whole bags of chips, and they do not regularly eat junk food or unhealthy sweets. They have accepted that these foods are not conducive to their health and they are simply not a regular diet choice. Healthy people enjoy an occasional indulgence, but, instead of eating a whole slice of cake, they eat one or two bites. Some may occasionally order French fries, but it is only on a rare occasion. They pay attention to portion sizes and avoid mindless eating that can lead to weight gain and other health problems. Their typical diet is filled with healthy whole foods that support their health, improve their energy levels and prevent chronic disease. Health conscious people know how to set priorities. They don’t look for excuses to skip a workout, instead they make those workouts a priority, even if that means skipping an evening out, or postponing some other activity that interferes. Exercise always takes priority on their daily schedules. Healthy people set goals that they wish to achieve. Whether it is to maintain a certain weight, or to lift a certain weight, or to improve some aspect of their fitness and health level, they set goals and plan what needs to be done to achieve them. Healthy people set aside time for relaxation and plan activities that help them to de-stress. They understand that self-care is not only about the things you do, but also about things you don’t do. Too much work, the hustle and bustle of life and everyday tension that results from a busy lifestyle must be counteracted. This can be accomplished with enough relaxation so that stress does not become an impact on good health. Healthy people understand that relaxation is a reset button and they take the time to push that button regularly. Healthy people are in touch with their bodies. They pay attention to what their body and also their mind needs as they strive for optimal health and wellness. Healthy people strive for healthy social interactions and inter-personal relationships. They know that their emotional state and overall fulfillment plays a key role in their health. A big part of self care is getting enough sleep every single night. Health conscious people strive to do so because it helps them to be healthier and function at their very best throughout the day. Healthy people don’t engage in addictive behaviors, including, smoking, illicit drugs and excessive alcohol use. Healthy people get regular preventative health screenings, as well as, preventative care. They visit their doctor and get tests like those for cholesterol, blood pressure and diabetes. Also they get regular physicals, mammograms, testicular exams and pap smears. This is done to ensure there are no issues that need their immediate attention. They also engage in regular preventative care, like visiting the dentist for cleanings and eye care specialists for eye exams. 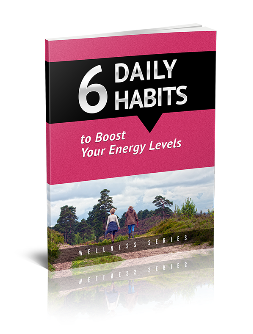 Simply implement these habits into your life and you too can become healthy and fit!